With its bustling crowds, magical street lights and festive shop decorations, London takes on a whole different personality at Christmas. 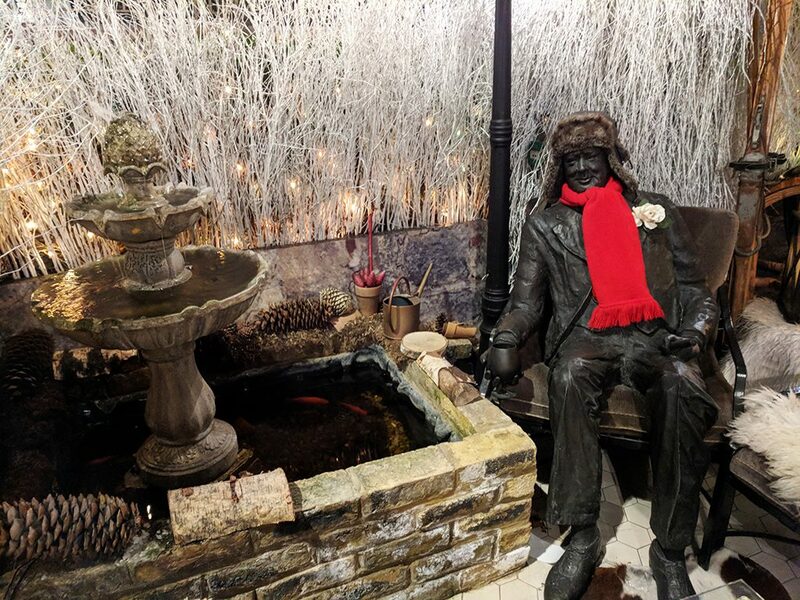 One of my most favourite places to visit when the season swings round is The Churchill Bar’s Winter Terrace at the luxury Hyatt Regency hotel in London. I first went back in 2015, so I was excited to return for round 2 this year – this time with Sophie from Luggage Tags and Ticket Stubs for a girly pre-Christmas catch-up. 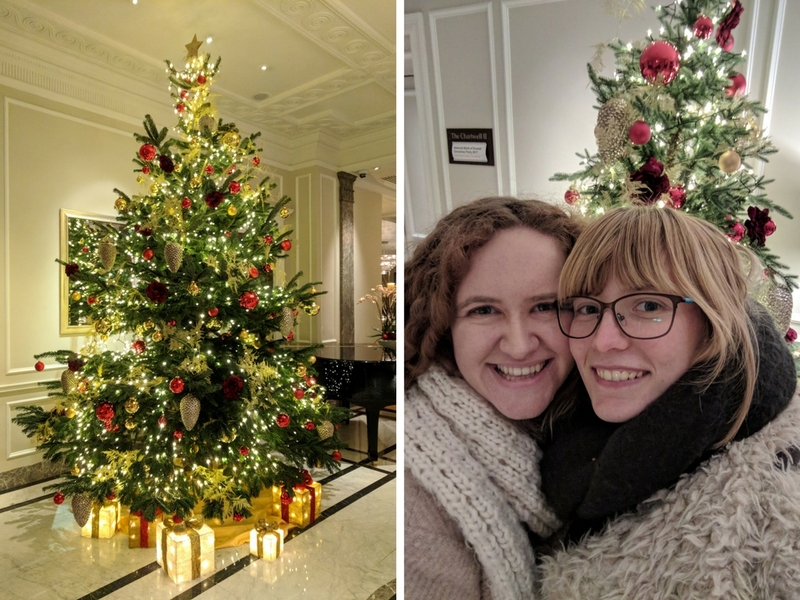 As we arrived at the Hyatt Regency, we walked past two sparkling Christmas trees in the hotel’s lobby, blew wistful gazes at the cheese and wine corner, and walked through to the glamorous Churchill Bar. It always feels like such an occasion coming here, and today was no exception. With its Art Deco-style décor and nostalgic British artwork, stepping into the Churchill Bar is like stepping back a good 100 years or so. You can almost imagine Churchill himself propping up the bar with his favourite tipple, a cigar in one hand while he broods over his election campaigns! Today, though, it was a little different, with Sophie and I sitting around with our cocktails, chatting about everything from Christmas to our blogging predictions for 2018. Even though it’s in the heart of Marble Arch, the Winter Terrace keeps things peaceful and cosy, with its outdoor space fenced off from the busy outside world via decorative railings and plants. 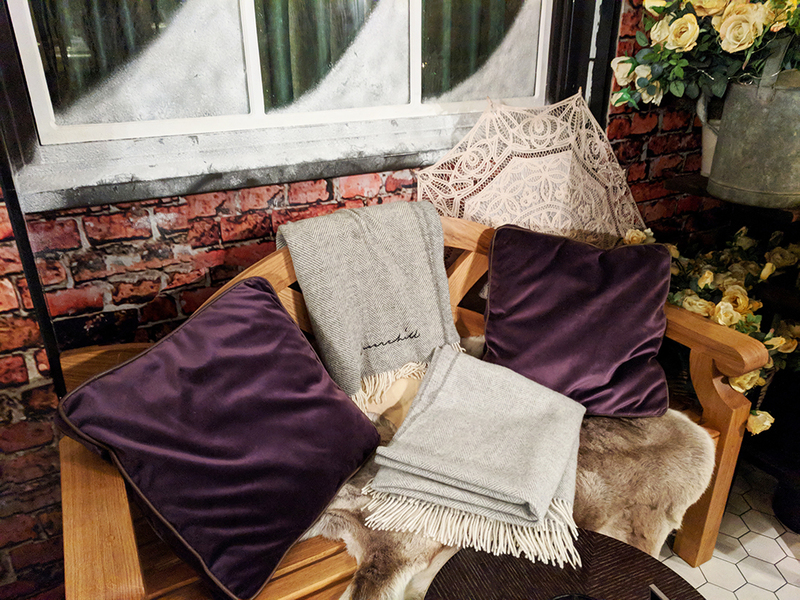 In here it’s your time to just sit and relax with friends over a cocktails or a cigar (it was voted Cigar Terrace of the Year 2017, dontcha know), with outdoor heaters to keep you safe from the London chill. Despite the fact England had seen its first drop of snow just the day before, we felt warm enough outside with the snug blankets wrapped around us, and a fluffy hot water bottle on our lap. Going to go out on a limb and say our drinks definitely helped keep us on the right side of freezing too! Last time I visited the Churchill Winter Terrace, it was during the day; this time, it was in the evening, which definitely gave things a bit more of a festive feel. 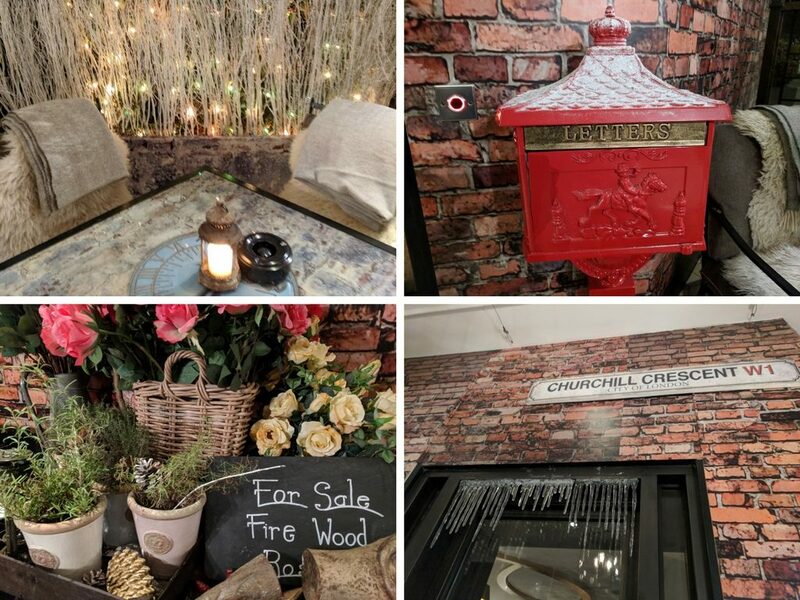 This was further amplified by the Christmas makeover, which sees decorations including wintry, white twigs, firewood, icicles and snow dotted around for a cosy ski chalet vibe. 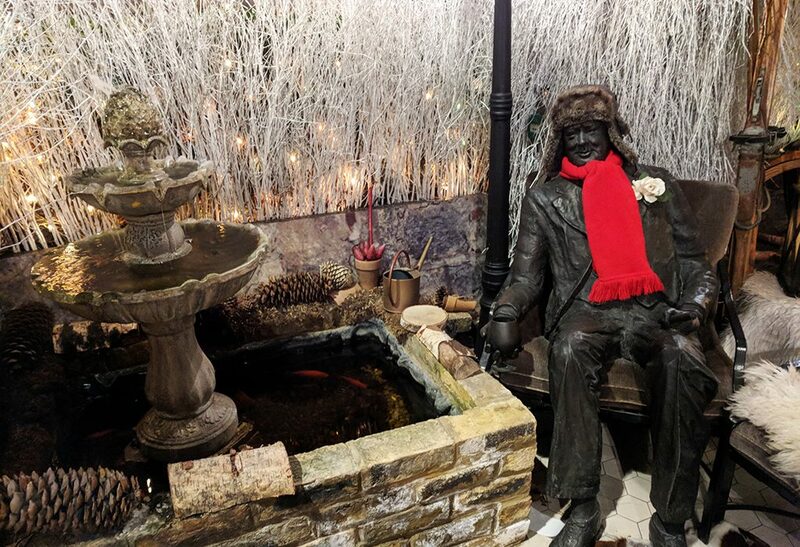 Outside, the bronze statue of a young Winston Churchill has also been given his traditional festive update. The furry hat and bright red scarf is a good look, don’t you think?! Sophie’s (left) v my drink on the right! 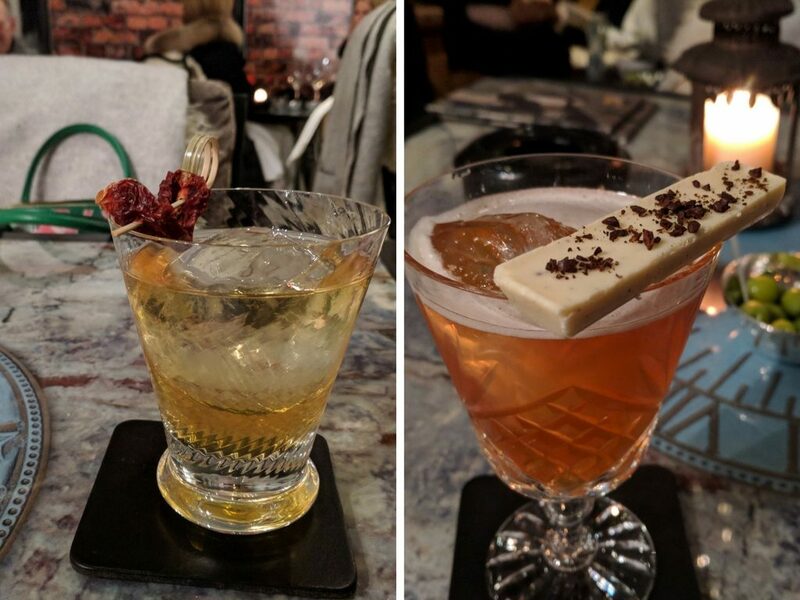 Thankfully, before the drink rendered me out for the count, we tucked into the bar’s seasonal tasting menu. 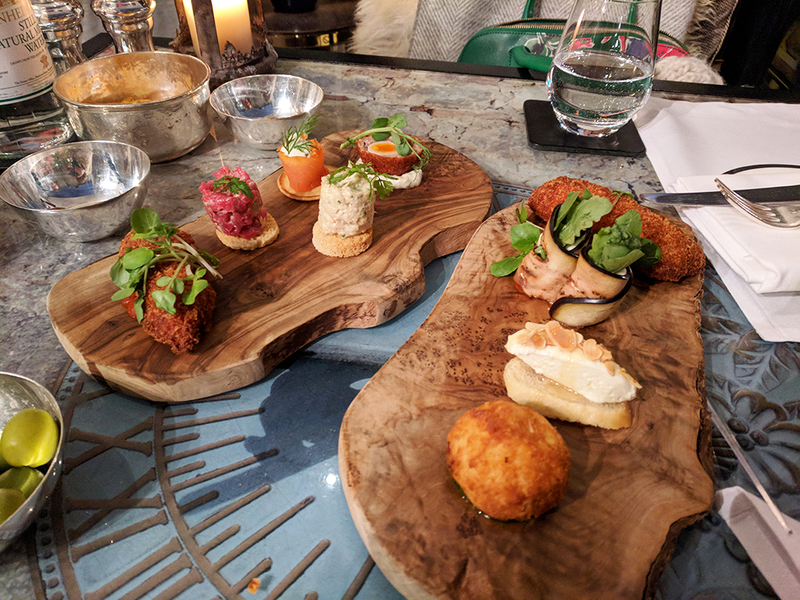 I got an entire vegetarian platter of deliciousness to myself, including cheese rolled-up inside pieces of aubergine, plus a scrumptious potato croquette and a feta ball. Soph got everything from a quail egg scotch egg, to crab, and a salmon roll. Needless to say, they didn’t last very long with us two around. Ahem. 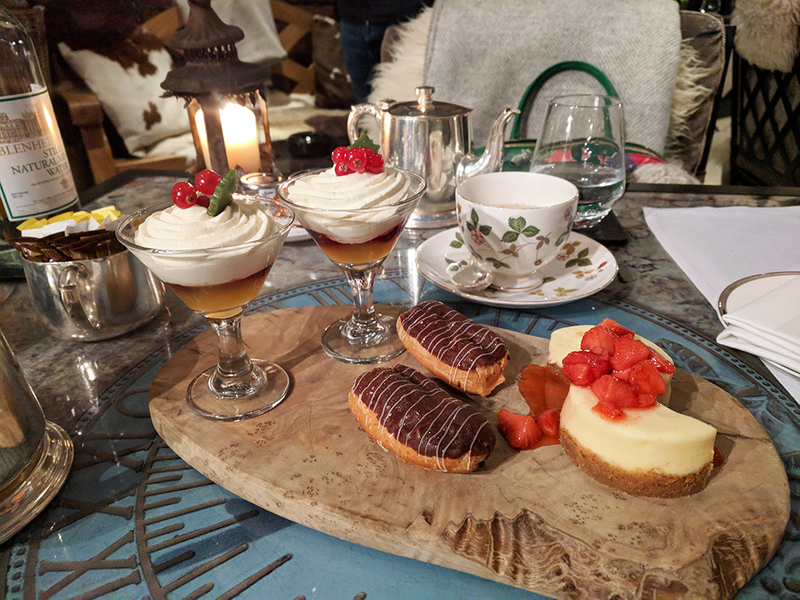 Just as we were filling up on table savouries of olives and cheesy bites, we got surprised with a tasting menu of desserts! Hello happiness on a plate. I had a bit of a thing for those mini eclairs, and Soph had a love affair with that cheesecake. 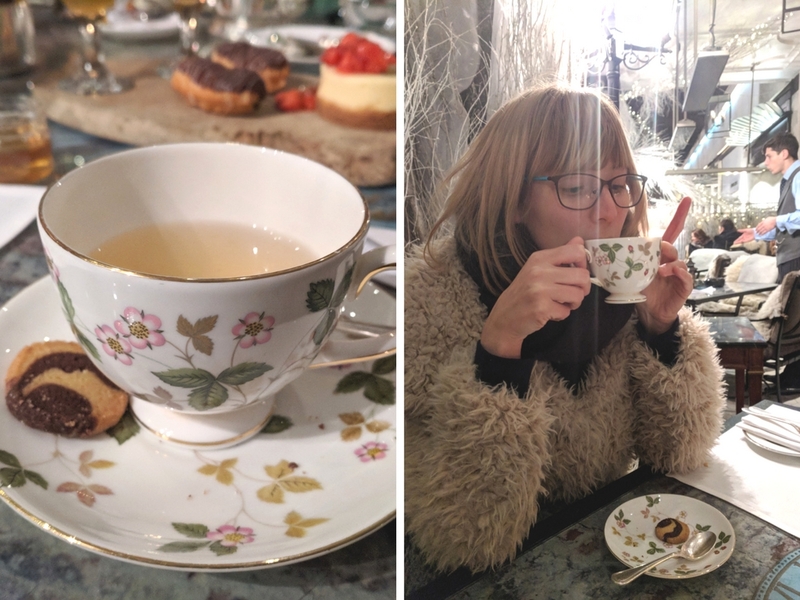 The best way to wind up our evening was with a tipple of something warm – and what better warmth potion than tea?! I rarely stray from a cup of Yorkshire tea, but the ginger and honey tea has got me seriously rethinking my life. Look how cute the china is too! The Churchill Winter Terrace is open now! I’d thoroughly recommend popping in before Christmas if you can… Maybe combine it with some shopping down Oxford Street if you’re feeling brave?! This terrace has all the festive feels! Ah this has made me realise how much I miss London in the Christmas time! Sounds like you had a lovely evening.